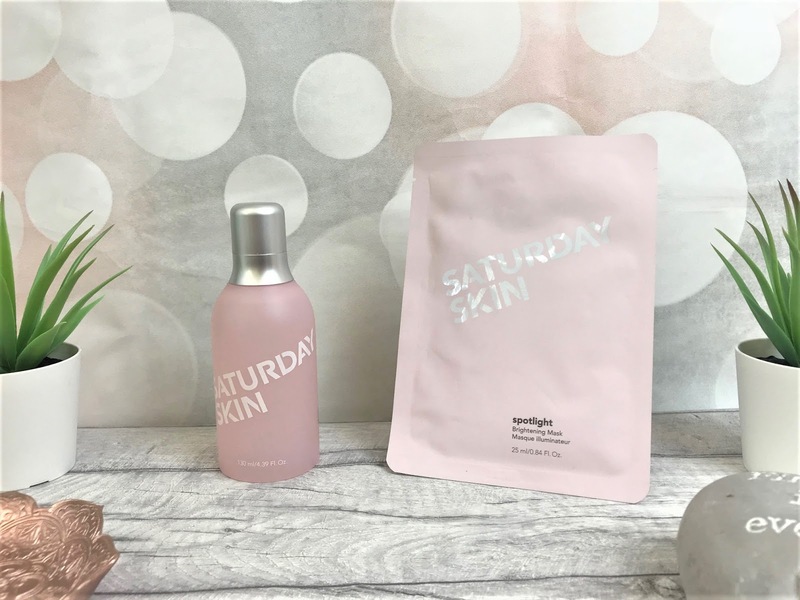 I won't lie, when I ordered this Saturday Skin duo, I hadn't really heard anything about the brand but I just thought their aesthetic was something I needed in my life. 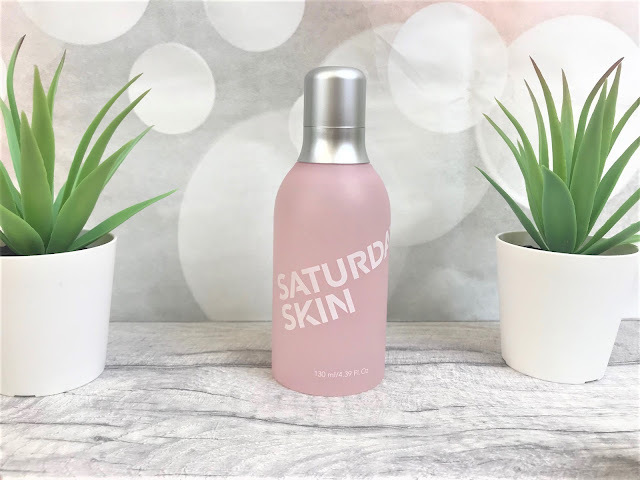 The packaging is all baby pink and white with sleek silver finishes, but enough about that, what are the products really like? Saturday Skin is one of the most popular K-Beauty brands and their Daily Dew Hydrating Essence Mist is a refreshing and hydrating face mist which works as a toner and essence in one to provide the skin with moisture underneath or on top of makeup. Daily Dew contains extracts of kiwi and grape to quench and nourish the skin and is suitable for all skin types. The martini shaker-style bottle releases a fine mist with each spritz so your face doesn't end up soaking wet. I use a toner and a facial spray every day, so I thought with this I can use one product instead of two and I found it works well as a setting spray. With every use, I find this spray makes my skin look glowy without a sticky, greasy feeling which some facial sprays can give. However, it does add a little moisture to the skin, but you would definitely need to use a moisturiser alongside it to ensure your skin is well hydrated. Originally, I bought this duo in a Christmas set in the sale, and the Daily Dew came with the Saturday Skin Spotlight Brightening Mask, however they can both be bought separately. The Spotlight Mask has a high content of Saccharomyces Ferment and antioxidants to give the skin a luminous and bright finish. It also contains bilberry, liquorice and lotus extracts to help diminish the appearance of dark spots, leaving the skin refreshed and glowy. The gel essence within the mask has a light citrus scent which is really refreshing and the biocellulose mask easily conforms to the contours of the face, which gives optimal absorption. I did find that there was plenty of the essence left in the sachet, so once I had removed the mask I massaged this into my face and neck. Saturday Skin advise to leave the mask on for 20 minutes, but I always recommend leaving skincare products on for longer if you can to reap more benefits. After removing the mask, my skin instantly looked brighter and felt much fresher as well as looking and feeling much smoother. For the price, this mask is well worth the money. 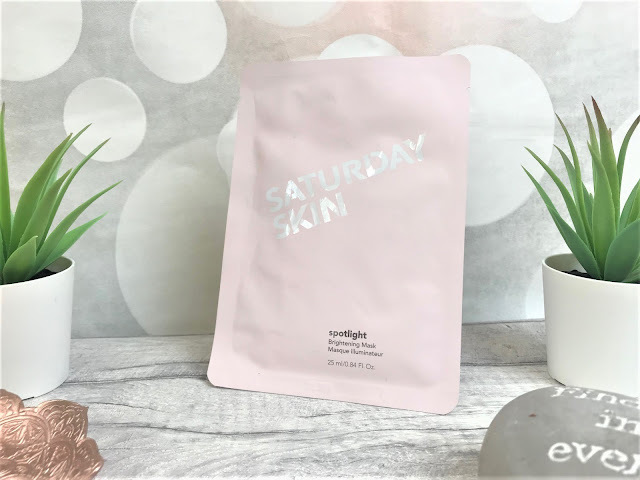 The Saturday Skin Daily Dew retails at £27.00 and the Spotlight Brightening Mask retails at £4.60 and are available online at Cult Beauty.